By Hayden Shearman // I don’t want to freak you out, but despite perfect training and ideal preparation, many a marathon has gone awry from forgetting something on race day. 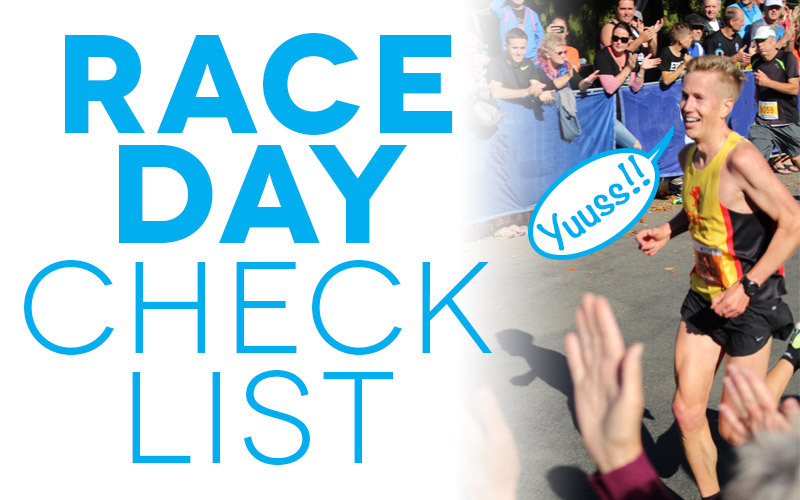 So here are the key things to remember and biggest pitfalls to avoid on marathon day. I’ve heard a story of a man arriving at a marathon start line only to realise he had left his shorts at home. Rather than waste all that training, he just ran in his undies. Don’t be that guy. Please. Breakfast: Wake 3 hours before race start and eat breakfast straight away (I find carbs that are easy on the tummy ideal e.g. a banana and honey on toast or oats with fruit ). Start Hydrated: Begin the race in a hydrated state (avoid cramming water down but just keep a bottle nearby that you can sip on as you feel). A good guide as to whether or not you are hydrated is whether your pee is relatively clear. Fluids: During the race I will usually estimate a millilitres/hour rate that I will aim to drink. For me this is usually about 600ml/hour, which works out at 3 small cups of water every 20 minutes. But you may be different and it’s important that you have your own plan and also listen to your body during the race and adjust your plan for the conditions. Energy: After breakfast I won’t touch any food until the race has begun. This encourages your body to begin the race in a more fat-burning state, whereas if you were to just cram sugar down, it would already be switched into glycogen burning mode. But once the race starts you will want to have a bit of a plan. My go-to is a gel or lollie every 45mins. This may or may not work for you. So you will need to draw on what has worked for you in training. And do remember that the electrolytes served on the course do have glucose in them, so you will be getting some fuel from here. … Oh and there’s a McDonald’s at 34.5k if you get desperate! Technique: Drinking and eating while running is a skill all in itself. So I recommend people to slow down to a walk in the aid stations. Consume all the drink or gels you plan to, drop the cup in a bin, and then get back to running. This will reduce your chances of bloating or the stitch massively. Aside from finding a good spot on the start line near other runners with a similar target time, the key is to spend most of your time either relaxing or sitting on a toilet! 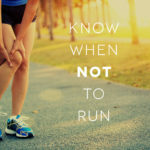 Give yourself every chance of clearing your bowels and getting rid of a nervous one, so there’s less chance of things going wobbly during the run! And if they do go wobbly, don’t worry, I’ve been there, done all that! This is the absolute number one thing you can do to make sure you enjoy your marathon day: pace yourself! 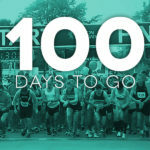 Have a realistic time goal in mind and set this as your upper limit for speed over the first half of the race. In the marathon you should reach 21k feeling like you’ve just done a warm up. The pace should feel EASY. Because it WILL get hard. Believe me. If you’re feeling good at halfway or about two thirds in, then by all means, step on the gas. But, until then, be conservative, enjoy the moment and soak up the atmosphere and views. Remember, if your first half is about pacing, your second half will be about passing! 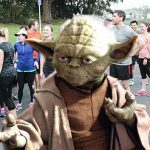 This is a series of blogs all about getting you trained up and raring to go for the 2017 Rotorua Marathon (or half or quarter). This entry was posted in Training Tips, Uncategorised and tagged Hayden Shearman, marathon, race day, Rotorua Marathon. Bookmark the permalink.